DENVER COLORADO - For 2015, ESPN has returned the Hillcross event for the 2015 lineup of adrenaline-inducing action competitions, the Winter X Games in Aspen, CO January 22-25. This event will be invite-only, with 24 athletes invited to attend. However, there will be 6 invites up for grabs at the annual Roost the Butte, held at Crested Butte Mountain Resort (CBMR), birth-place of the snowmobile events at Winter X Games. Roost the Butte began in 2013, as the brain-child of Scott Clarkson, marketing director of CBMR and Snowmobile Sport Organizer Joe Duncan. Now in itâ€™s third year, Roost the Butte has been a model of building a successful event. Prior to the addition of the Hillcross event to Winter X, CBMRâ€™s biggest draw is successfully drawing A-list racing teams like LaVallee, Judnick Motorsports and Hentges Racing was the opportunity for high-altitude training, both geographically and chronologically close to Winter X. This year, with the addition of the Hillcross invitational, it is sure to draw a wide gamut of professional and amateur snowmobilers across multiple disciplines. With 100 plus inquires to participate in the 2015 Winter X Games Hillcross, this event was needed to bring the cream of the crop of Hillclimb/Hillcross racers to compete to show off their talent. However, this event isnâ€™t just about the X Games. Roost the Butte has gained a huge amount of traction with its partnership with RMSR, a Colorado-based racing circuit. Roost the Butte includes not only Hillcross, but Snocross, oval, hill drags, vintage, and youth disciplines. RMSR and Joe Duncan both tout that this event really encourages local participation as well as professional competition. Class structures have further supported the whispered motto of Roost the Butte â€˜Run Whatcha Brungâ€™. 2014 brought in 75 plus competitors and thousands of dollars in payouts. 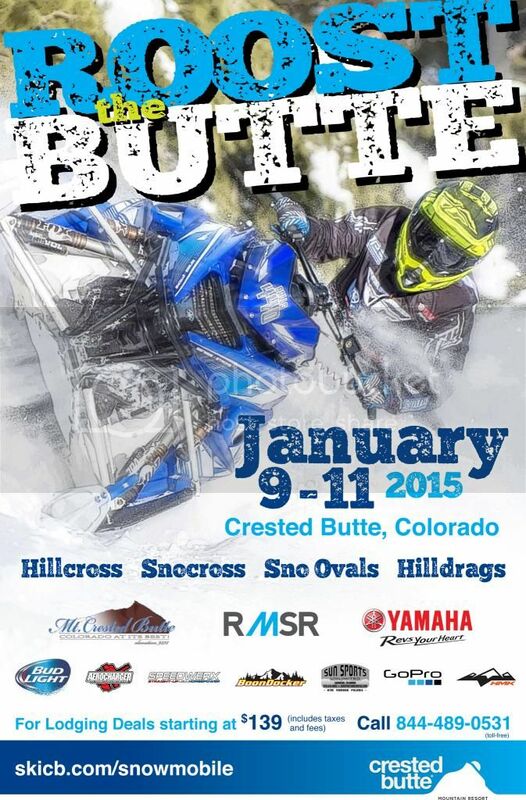 In a shift to use this event to select Hillcross/Hillclimb talent for Winter X , the 2015 Roost the Butte event has been moved back one weekend to January 10th and 11th, with January 9th as a test and tune day. 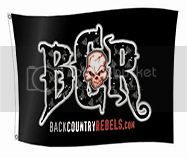 More information can be obtained by visiting www.RMSRracing.com or by emailing info@rmsrracing.com. No Longer Guiding in Cooke, but I offer FREE information!